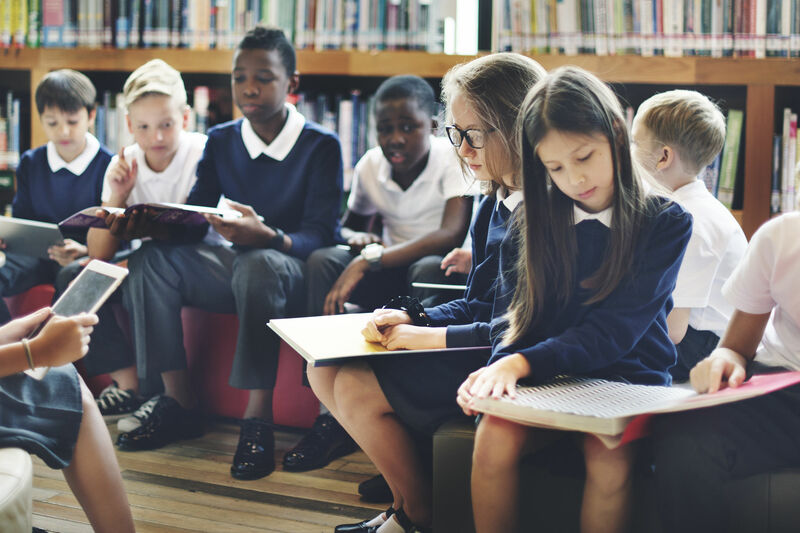 Whether you’re a novice taking your first steps or a seasoned veteran seeking supplemental skills, here are the schools, workshops, and websites to know. 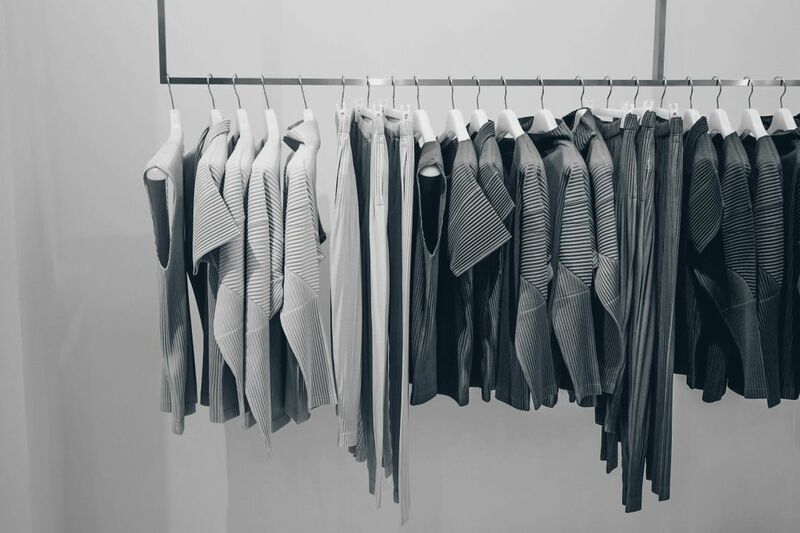 Portland may not have quite the fashion cred of New York City, but we are a mighty mecca for the apparel industry. Nike reigns as Oregon’s only Fortune 100 Company, and a slew of other major international sportswear apparel brands—like Adidas, Under Armour, and Columbia Sportswear—have headquarters or bases in Portland. This city is also the place for independent and inclusive fashion, where unique local brands (such as plus size clothing company Copper Union and activist boutique/clothing line Wildfang) flourish. Add to the mix a host of cool fashion shows like Fade to Light and Unmentionable. So how can an interested fashionmonger enter the big leagues of Portland apparel? Or where can those who've already been initiated into Portland’s style circle get supplemental skills to give them that extra step ahead? It all feels especially necessary following the big news that the Art Institute of Portland is shuttering, leaving a number of fashion students mid-education adrift. Here are a few local classes, workshops, and blogs that can help strengthen your fashion foundation. About: In the early 2000s, Sharon Blair—a local designer and fashion entrepreneur with more than 20 years of experience—noticed that the only opportunities for individual sewing classes in Portland were degree programs that required lots of time (and money). Blair, who studied couture sewing in Paris and started three clothing lines of her own, decided to fill this need by founding Portland Sewing in 2002. While the initial focus was to teach students everything they needed to know in order to properly sew, the school has since expanded its scope. In 2016, Portland Sewing became licensed as a career school and officially changed its name to Portland Fashion Institute. PFI’s Certificate Programs: PFI offers three certificate programs that can all be completed within two years. Each requires a 90-hour hands-on internship, which PFI helps students find. Apparel Designer: “This certificate is for visionary people that always have a sketchbook around and have lots of ideas who want to create a clothing line,” says Blair. 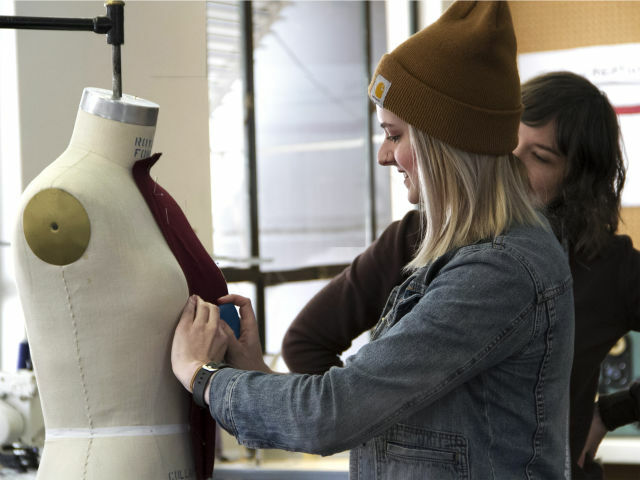 Students in this program take classes with subjects ranging from Couture Techniques to Fashion Event Production. Apparel Technical Developer: Meant for those who want to learn the technical skills to get themselves a job in the apparel industry, Blair notes that students in this program will learn “the meat and potatoes” of the fashion industry, which is heavy on computer skills. Classes in this program include Computer Patternmaking, Computer Print Design, and Overseas Production. Apparel Entrepreneur: Interested in starting up a small indie boutique or your own Etsy line? This is the certificate for you, with classes like Fashion Forecasting, Branding, and PR Techniques that teach students the ins and outs of starting a business. Years running: 16. Started in 2002 as Portland Sewing and became Portland Fashion Institute in 2016. Class size: Hands-on classes are limited to 12 students, while lecture classes are limited to 15 students. Cost: $20 per clock hour, plus extra costs (approximately $1,650 for books, supplies, and equipment). Around $16,000 for total certificate, depending on program. Notable Alumni: Claire Doody, owner of plus size clothing company Copper Union. Christine Van Abdouke, owner of athleisure line Perilous Activity. Erich Treeby, the “Duke of Detail” at custom suit shop Duchess Clothier. 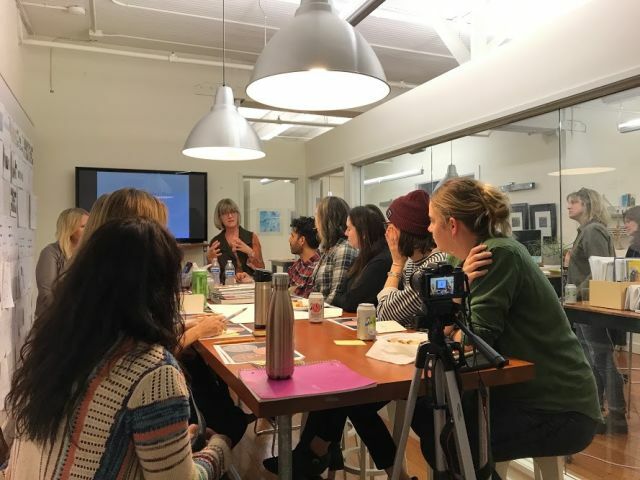 About: Right around the time when coworking spaces were gaining popularity, self-taught sewer Dawn Moothart decided to launch Portland Apparel Lab, a member-based community space where sewers could share equipment, tools, and knowledge with one another. Originally based out of Moothart’s own living room, in 2016 PAL moved to a Southeast facility—a corner section of ADX—right down the street from Revolution Hall. At this new workspace, PAL members and day-pass users have access to more than $50,000 of equipment, including six different types of industrial sewing machines. 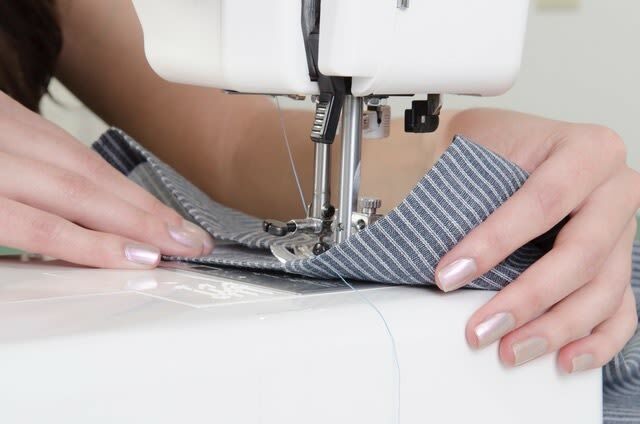 PAL’s classes & lessons: PAL offers a monthly class on industrial sewing machines as well as private lessons to both members and non-members. Private lessons: PAL also offers private lessons, the most popular of which is training in Optitex CAD (computer-aided design) patternmaking software, a program that allows designers to draft 3-D patterns from scratch and digitize existing print patterns. Students can also take private lessons that are individually tailored to help them realize a project, such as making a skirt from scratch. Who's it for? The serious sewer. 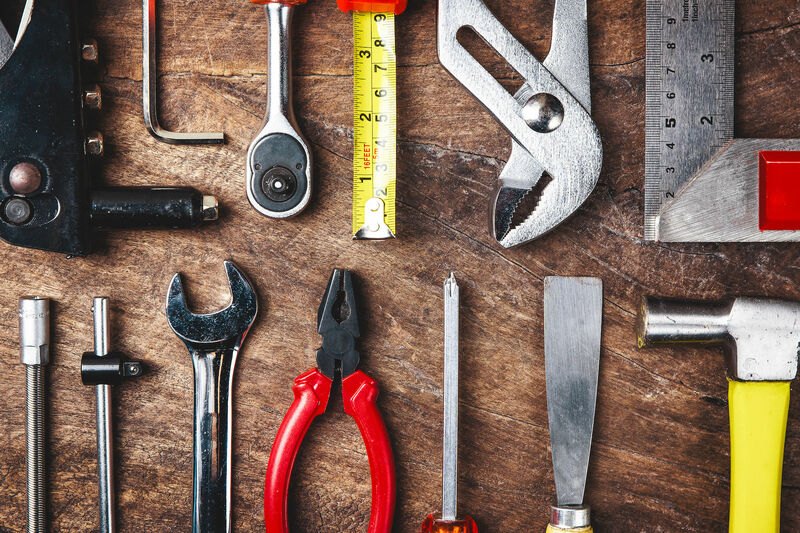 According to Moothart, “The crash course in industrial machines is for anyone who feels like they have gone beyond sewing on their kitchen table, or anyone who is curious about how things are really made in a commercial sample room.” Meanwhile, Moothart thinks PAL’s private lessons are perfect for people who have a project they want to see come to life—those folks who don’t just want to make something from a kit. Years running: 4. PAL opened in 2014 but only started teaching classes in 2016, when it moved to its current facility. Cost: Crash Course in Industrial Machines: $49 for members, $59 for non-members. Private lessons: $59/hour for members, $65/hour for non-members. Just need to learn to sew or brush up on your draping skills? Check out the classes at these spots to find the one that’s the right fit for you. About: Six years ago, former Nike designers Rebecca K. Ward and Britta Cabanos launched their own design consulting studio, Creative Capital Design. With the duo’s combined three decades of experience at Nike (Ward spent 19 years as the global creative director of apparel, footwear, and accessories, while Cabanos oversaw all of Nike’s swimwear lines for almost 10 years), CCD was quickly able to establish a name for itself in Portland and land major clients like Champion, Wilson, and DKNY. CCD’s Workshops: Last fall, Ward and Cabanos plugged into their impressive network of friends in the fashion industry and asked them to share their expertise by teaching two-hour workshops at CCD’s small studio. Each of these intimate workshops (capped at 10 students) began with a half-hour wine-and-cheese social before diving into the day’s topic of interest. The first season of workshops included Sports Bra 101 by LaJean Lawson—the director of Champion’s Bra Lab and the only person in the world with two graduate degrees in sports bra science—and Entrepreneurship for Designers, taught by former Nike global creative director Matthew Rhoades. 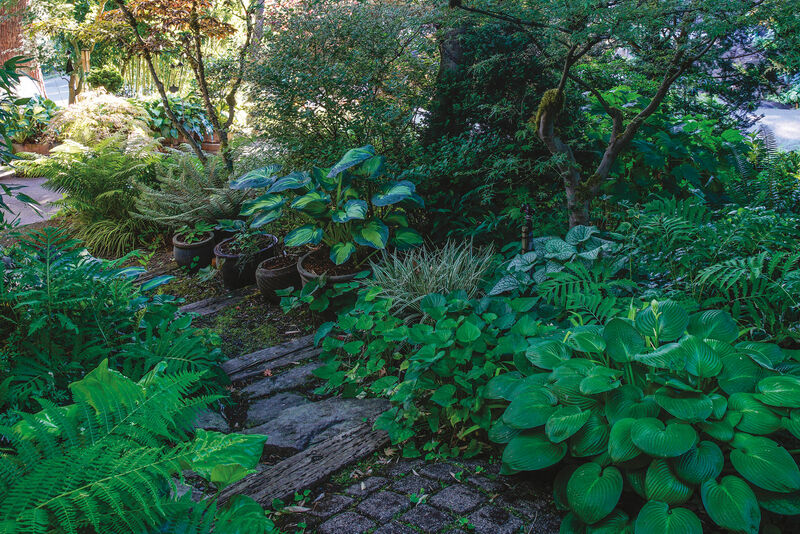 CCD is currently revamping its model for its 2018 workshops, hoping to lower class costs (which were $75 per session last season) by moving to a larger venue that can accommodate upwards of 30 students. Don’t worry: the studio plans to keep the pre-class social. While logistics for the 2018 workshop season are still being sorted, a few classes have already been confirmed. Examples include a five-part series called "A Survival Guide for Creatives Starting a Business," led by global production management guru Jim Chi, plus a workshop called "Wearable Technology at the Intersection of Sports and Fashion," taught by Elizabeth LeMay and Michelle DeCourcy of local product creation company Studio 317. Years running: CCD was founded 6 years ago, but workshops just started in October 2017. Class size: 30 students for the fall 2018 workshops. 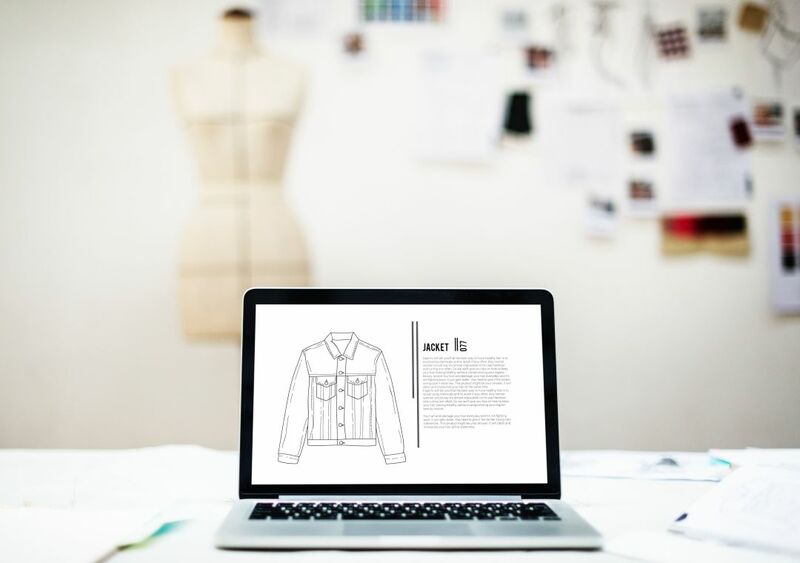 Launched in 2017 by the fashionistas at Creative Capital Design, this website includes tips and tricks—including interviews with industry professionals and personal advice from the founders of CCD themselves—for those already in the apparel design industry. Angela Medlin—the founder of Pensole’s Functional Apparel and Accessories Studio, which trains future athletic footwear designers—recently started a blog called Designers X Diversity. Filled with interviews that Medlin personally conducts with other designers of color, the blog seeks to provide inspiration to aspiring innovators and ultimately help generate a more diverse and inclusive apparel industry. Medlin plans to add a new interview each week.